Giuseppe Margani (Catania – Italy, 1968), MEng, associate professor of Building Construction at the Department of Civil Engineering and Architecture (DICAr), University of Catania. He took his PhD in “Architectural Engineering: design, production and refurbishment techniques” at the University of Palermo (Italy). His research interests include sustainable architecture, energy and seismic renovation, innovation in building technologies, integration of renewable energy systems in the building envelope, history of construction technologies, restoration of historical buildings. He is author of 5 books, and author or co-author of over fifty papers published on national and international peer-reviewed journals or conference proceedings. He has a good experience in the development and direction of national and international research projects, and he is independent expert of the European Commission for European research and innovation programmes. He is Guest Editor and member of the Editorial Board of “Buildings” and “Sustainability” (MDPI Editor). 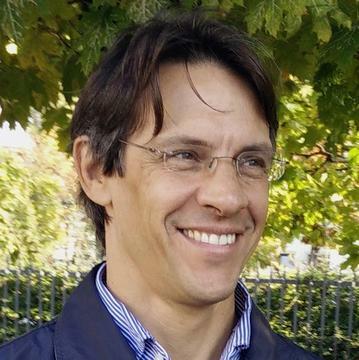 He is member of the scientific committee of the PhD course “Evaluation and mitigation of urban and land risks”, University of Catania. As licensed architectural engineer, he has over 20 years of work experience in detailed design, building refurbishment and Non-Destructive Tests on cultural assets. La Biennale del Restauro Architettonico e Urbano è un evento concepito e organizzato dal CICOP Italia .